World Oceans Day recently passed on June 8. It's so easy to look out at the beautiful blue waters and forget that our oceans are in fact, suffering. It's difficult to fathom that 32 million pieces of plastic enterAustralian waters every day –an unappetising plastic soup injuring sea creatures, and creating hazardous threats on human life. Plastics production reached 311 million tonnes in 2014, and is expected to double again in the next 20 years, and almost quadruple by 2050. However, despite this growing demand, just 5% of plastics are recycled effectively, while 40% end up in landfill and 30% in our oceans. The remainder is burned, only to cause more fossil fuels to be consumed in order to produce more plastic items. With the production of plastic also using around 8% of the world's oil production, it's often financially unviable to recover plastics and process their hydrocarbons to recycle them, than to use virgin crude. While it is the lesser of the evils, recycling is neither efficient, effective, nor is it the answer. 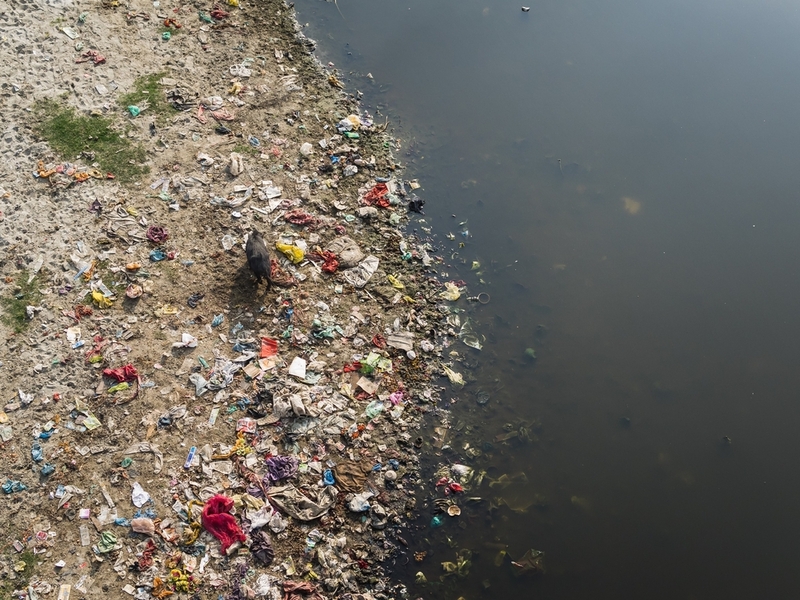 Reportedly, at least 8 million tonnes of plastics leak into the ocean every year, equivalent to dumping one garbage truck of waste into the ocean every minute, and enough to circulate the earth 4 times. It is no surprise the toll this has on animals and the high percentages of plastic found in seabirds and marine animals, as well as their cause of death. 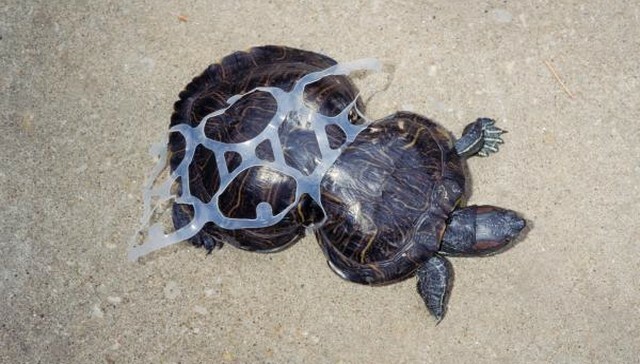 Six-pack rings, also known as 'yokes', though only sixty years old, are a common and persistent environmental issue. Since 1989, it has been required by law that all yokes manufactured in the U.S. be produced using 100% photo-degradable plastic (degradation begins after exposure to sunlight). But as we may already know, plastic will never completely break down and disappear. Part of the solution is to rethink the way goods are packaged, and a couple of brainiacs did just that. Activists have long advocated snipping these cumbersome can binders, but Saltwater Brewery, along with NYC-based ad agency We Believers , has banished this all together and invented an edible, and biodegradable version! … and how so much had accumulated during a We Believer's production shoot lunch break. Co-founders Marco Vega and Gustavo Lauria decided against a traditional awareness campaign, and instead connected with Chris Gove, president and co-founder of Saltwater Brewery, with the idea of a product that would take the responsibility away from the consumers by cutting out plastic all together. Fast-forward two months, and five hundred prototypes were created using a 3-D printed mould and natural brewing by-products: wheat and barley. And We Believers still managed to produce their awareness campaign! These rings are 100% environmentally friendly, and while wheat and barely aren't the staple diet of marine life and birds, they are still safe to eat. Nonetheless, more testing will be carried out to ensure the rings won't have an adverse effect on animals if ingested, as any adverse effects the edible rings may have on animals won't become evident until the product is more widely in use. Eventually the team will experiment incorporating other natural fibers and by-products of different beers, such as stouts and India Pale Ales (IPA) to continue improving the rings. 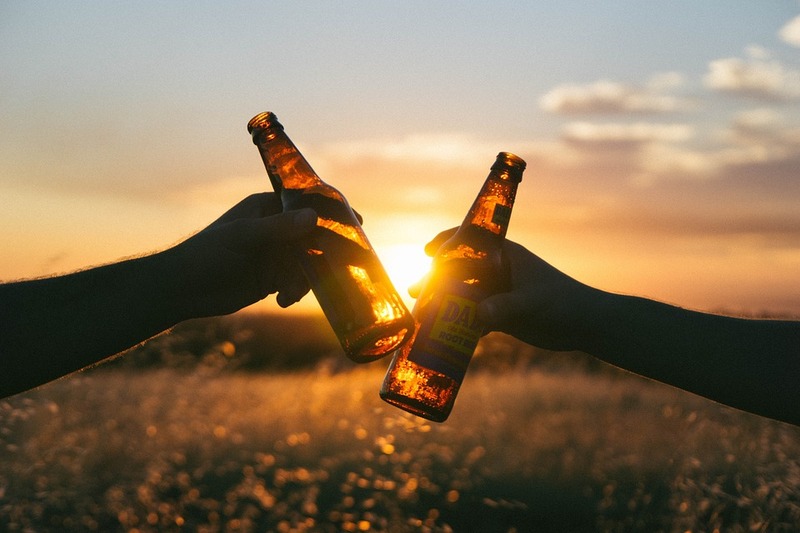 The product is still in prototype phase, however, Saltwater Brewery plan on introducing the biodegradable rings to the mass market by 2016, and in 2017, hope to partner with other microbreweries to expand the use of their technology. The next step for the team is to construct a hydraulic mould that has the capacity to produce 200,000 units a month, after which the rings will be used on all the beers Saltwater Brewery produce. Beers plus environmental benefits? Yes please, we'll drink to that! Katie Liew is a not so typical tweed-jacket wearing accountant. One of her greatest beliefs is to never underestimate the power of one and is passionate about leaving positive footprints in people's lives and making a difference in the world, even if it's as tiny as she is!